NEW YORK -- Rihanna's Diamond Ball shined in its fourth year and continued to make a name as one of the industry's white-hot and must-attend parties -- all while raising nearly $6 million for charity. Haddish watched Gambino, who performed "This Is America," "3005" and more songs, like a die-hard fan right in front of the stage, even yelling her catch phrase -- "she ready" -- while the Emmy-winning "Atlanta" actor performed his Grammy-winning soul anthem, "Redbone." "In the past I've wanted to support so many causes and you go to one foundation for this and one foundation for that. And I don't think it's fair to turn your back on someone else who needs help just because it doesn't fit into the bracket of your mould. And I don't think charities should be moulded like that-- not for me anyways," she said in an interview with The Associated Press. "Some people, it works for them, but for me personally, I couldn't sleep knowing that I can't help someone with AIDS because my charity's about cancer. Everybody needs help, you don't even know what that means, it could be schools supplies, it could be something as light as that. But we would always, always reach out and support, so this going to be an ever-growing charity." The Clara Lionel Foundation, which has supported those affected by Hurricanes Harvey and Maria, has set a goal to raise $25 million for an emergency response fund by next year's Diamond Ball. 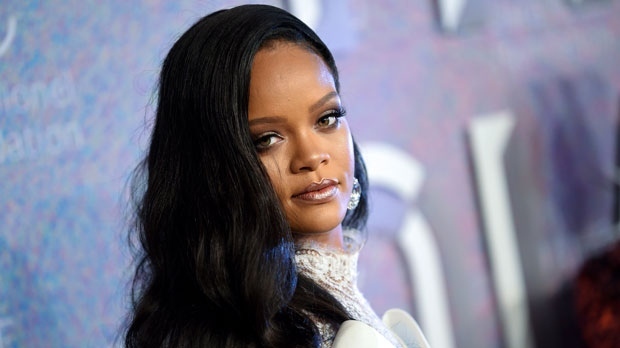 The organization also has a scholarship fund as well as an oncology and nuclear medicine centre in Barbados, where Rihanna was born and raised.